BIRMINGHAM ROMANY MEMORIAL REVIEW GROUPS ORIGINAL AIM WAS TO “Provide and maintain a memorial in Black Patch Park Sandwell” dedicated to the historical contribution the original gypsy families made to this land and the greater West Midlands area. THIS IS THE FIRST MEMORIAL ON BLACK PATCH LAND (NOW PARK) THAT THE GROUP PROVIDED IN 2005, ON THE BRIDGE OVER THE HOCKEY BROOK. 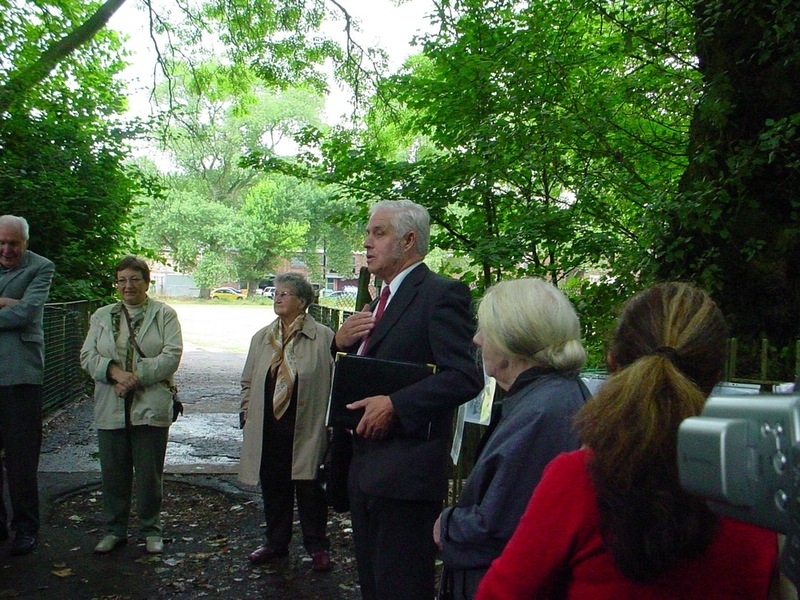 "At the launch of my book “BRUMROAMIN” in September 2003 I promised that I would attempt to have a permanent memorial erected to the Gypsy families that once occupied the Black Patch land. I am now pleased to tell you that on 26 JULY 2005 being the 100th anniversary of their first eviction from the land, a memorial plaque mounted on natural stone was unveiled on the bridge at BLACK PATCH PARK"
VICKIE POWNALL, CARL CHINN, ?, COLIN PARKER AND TED RUDGE at the launch of TED'S book BRUMROAMIN VICTORIA SQUARE, BIRMINGHAM. Installing the original Stone and Plaque. Unveiling of the memorial on the bridge over the Hockley Brook in Black Patch Park. Colin and his Bowtop, Billy the horse, Member of the Tangey family (brown jacket sitting on the steps of the bowtop) with Jessey Loveridge and Ted Rudge.Plus various photographs from the memorial unveiling day in Black Patch Park. TONY AND VICKIE POWNALL, JOHN LOVERIDGE, JESSIE LOVERIDGE, ?,?,?